Gluten is a protein found in wheat, oats, barley, and rye. Gluten is a binder in many products and it is what makes bread and baked goods soft and chewy. Many people have gluten intolerance and don’t even realize they are intolerant. I believe that what we put into our bodies is very important and I don’t think gluten should be something we consume. 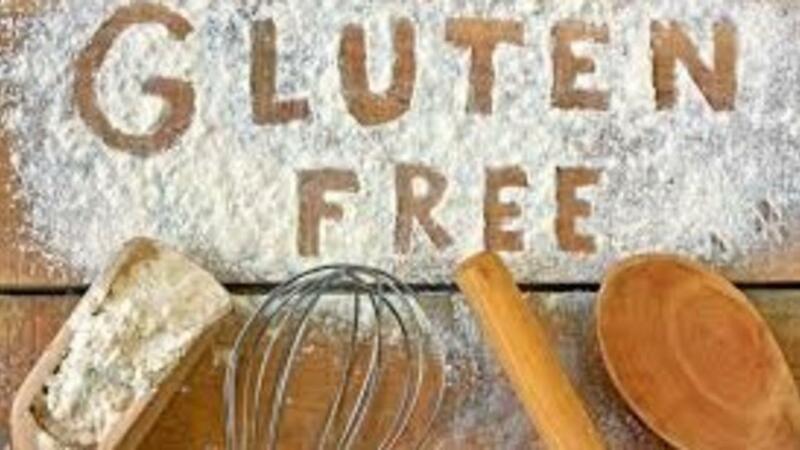 Obviously, for those who have celiac disease, gluten is something they must avoid completely! It damages the villi in your small intestine and that causes malnutrition because those villi are what absorb nutrients from the food we consume. There is also something called NCGS, which stands for non-celiac gluten sensitivity. The symptoms are different for each individual but can range from bloating to abdominal pain to headaches to rashes. So, what do you do when cutting gluten from your diet? Well, there are a lot of amazing gluten free replacements out there for things like tortillas that are also grain free! However, some gluten free replacements are unhealthy and low in fiber. Be sure to read the list of ingredients and know what you are consuming. It is best to stick to vegetables and fruits, like berries, and healthy protein sources like organic meat, eggs, fish, nut butters, etc. A lot of the time, going gluten free can seem overwhelming or like the food is tasteless. But, I can assure you that there are plenty of recipes packed with flavor! Here is one of my favorite gluten free recipes. I have recently been making Spaghetti Squash Turkey Taco Boats! I love this recipe because the spaghetti squash adds a lot of fiber and flavor to the dish and it is very filling! I love adding vegan cheese and guacamole as toppings for some really good flavor. This is a great recipe for busy lifestyles and families on the go! I hope you have found this blog informative and I hope that you cut gluten from your diet if it causes problems for you. I think you’ll feel better and notice that you have clearer skin too. Who wouldn’t want that?! Stick to clean eating and have fun with my workout videos! Summer is coming. Let’s get to work!